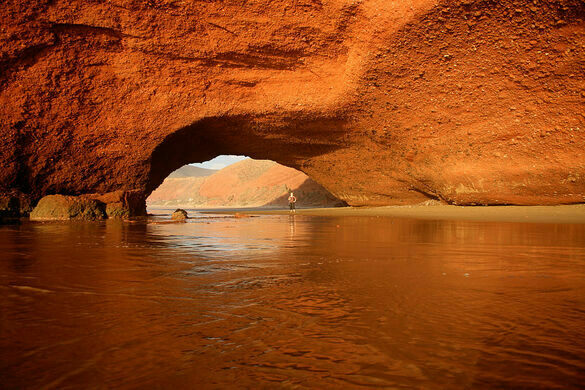 In between Mirleft and Sidi Ifni can be found Morocco’s most unique beach. 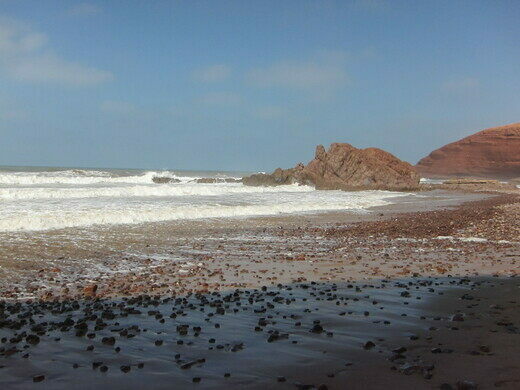 Like its other Atlantic counterparts, the 8 km-long stretch of Legzira Beach is windy, rocky, and expansive. 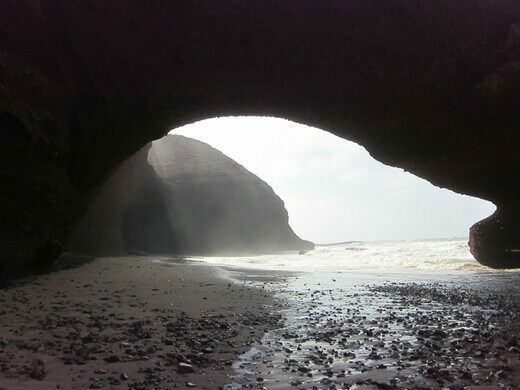 What set Legzira apart, however, were its two mammoth stone arches. Naturally formed after years of erosion, these sedimentary giants jutted out into the perpetually crashing waves and are accessible during low-tide. Sadly, only one of the two arches now remains. The other collapsed in late 2016, undermined by wave action. 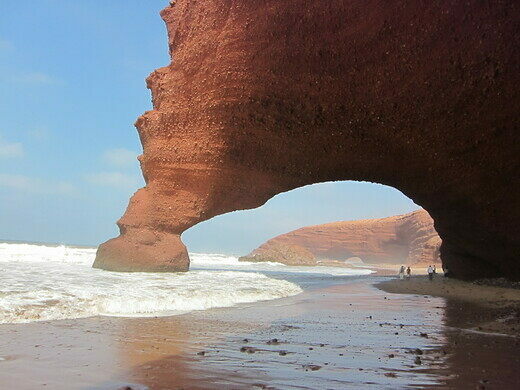 The second arch is probably also at risk of eventual collapse, as the sea continues to wear away at the fragile red sandstone from which it is formed. 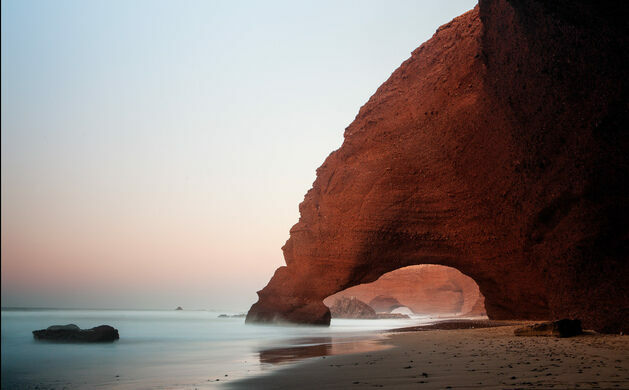 Being a haven for European para-gliders and surfers, the bongo drums and wetsuits manifest themselves a little ad nauseam, but through the Atlantic mists scraps of Moroccan life, like donkeys and fisherman, can still be found. 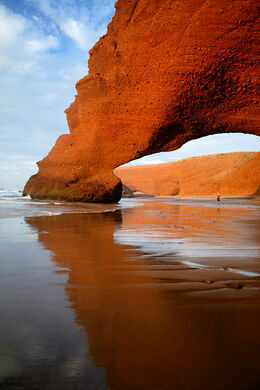 There are two relatively inexpensive hotels on the beach where visitors can stay. 20 km south of Mirleft, 800 m after you turn at a sign on the road.